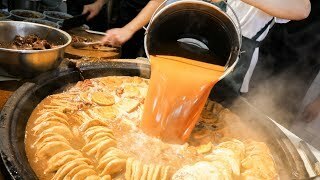 In this Chinese Street Food tour video, I take you around many places in Chengdu. 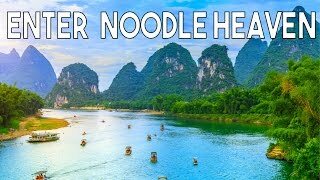 First, I visited this local dan dan noodle shop near the outskirts of Chengdu, Sichuan, China, and found the Chinese street food noodle experience and the atmosphere to be mind blowing and exciting! 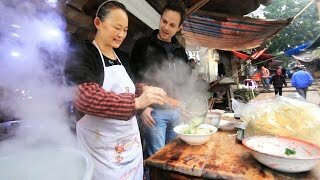 It is always an experience visiting Chinese street food areas! So much food and Sichuan ingredients, so many flavours to try! 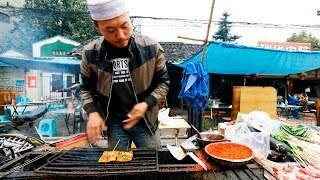 Afterwards, I took the subway into Chengdu and found many more street food specialties. I visited this busy Chinese restaurant on a Saturday early afternoon at around 11:30 am with already two bowls of noodles in my stomach and looking for more. 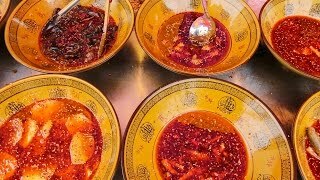 My goal was to taste as much food and chat with as many locals as possible, that's the true China experience.It was so busy, with so many people, there were so many different foods to eat and look at, tons of vegetable dishes, meat dishes, everything you could want really. 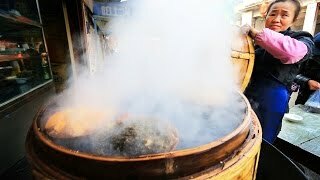 There was fresh Sichuan cold "liangbancai", and a huge back alley seating area where everyone was sitting and feasting. All the locals were chatting loudly and enjoying a Chengdu afternoon. 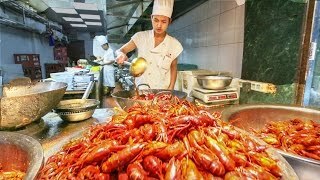 If you're visiting China as a tourist, I recommend eating at one of these "fly restaurants" (poor hygiene but delicious food) and try a bunch of the food. However, if you go to the place I did, DO NOT order the intestine dish. 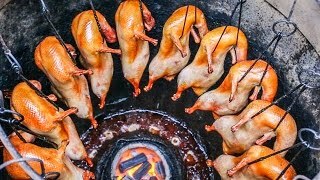 Instead of trying hot pot in Chengdu or hot pot in Chongqing, you could try some way cooler food in Chengdu at local "fly restaurant" like this. 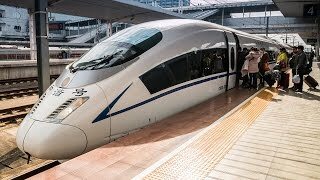 This should be a top priority for traveling in China in my opinion! 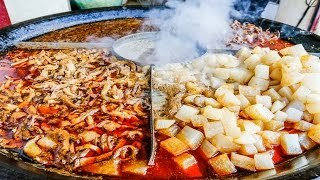 Chinese cuisine is so diverse, and I consider myself lucky to be able to live in Sichuan, eating Sichuan food everyday, tasting all the top Chinese foods to try whenever I want. 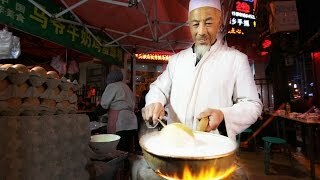 I've decided to stay living in China for at least another 2 or 3 years and study to be a Sichuan chef to get the feel of it and eat as much as I can! I'm currently enrolled at the Sichuan Higher Institute of Cuisine. Address:龙泉驿区龙平路527号 (Lóngquányì qū lóng píng lù 527 hào) This is way out in Longquan, near the Longping subway station on Line 2. 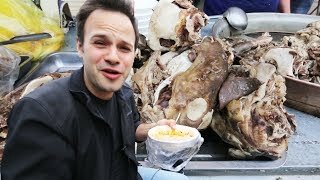 3 The sliced beef in the Chinese muslim area (Chinese Halal Food). This one is a bit far out as well, but this one was definitely worth the long subway ride out. It's right near Jingke beilu subway station on line 2. 4.The steamed beef Chinese muslim style - wow this was great! Right on the street! This one is also right near Jingke beliu station. This one is also right near Jingke beilu station on line 2. 7.The spicy spicy Sichuan frog pot insanely spicy! This is right near the west gate of Sichuan university in Chengdu, China. 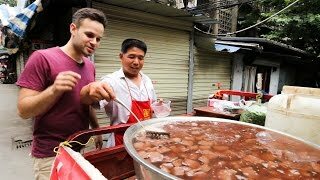 My name is Trevor James and I'm a hungry traveler and Mandarin learner that's currently living in Chengdu, Szechuan (Sichuan), China, eating up as much delicious Chinese food and Chinese street food as I can. 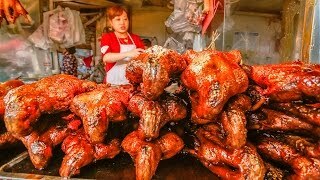 Please make sure to subscribe, follow me on IG at The Food Ranger, it's the best way to keep my videos and photos in your feed, and give me a thumbs up too if you liked this food video, thanks, I appreciate it! You could also share the video too if you liked it, that would be awesome. 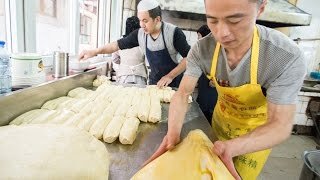 I'm currently studying to be a Sichuan chef at the Sichuan Higher Institute of Cuisine, it's a lot of fun, and will be posting videos from there as well as food and travel videos whenever I get the chance!